Lie of the land. 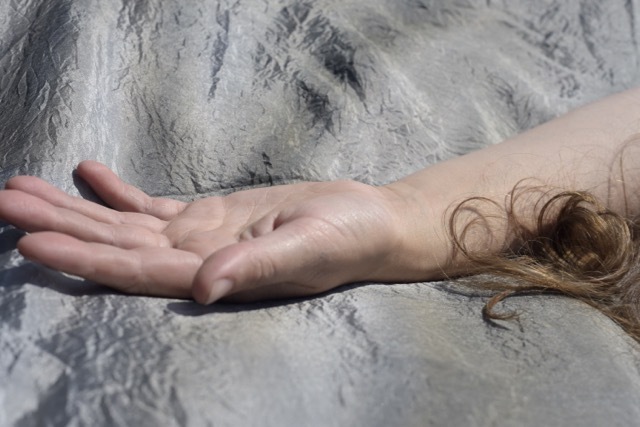 Laid in the topography. 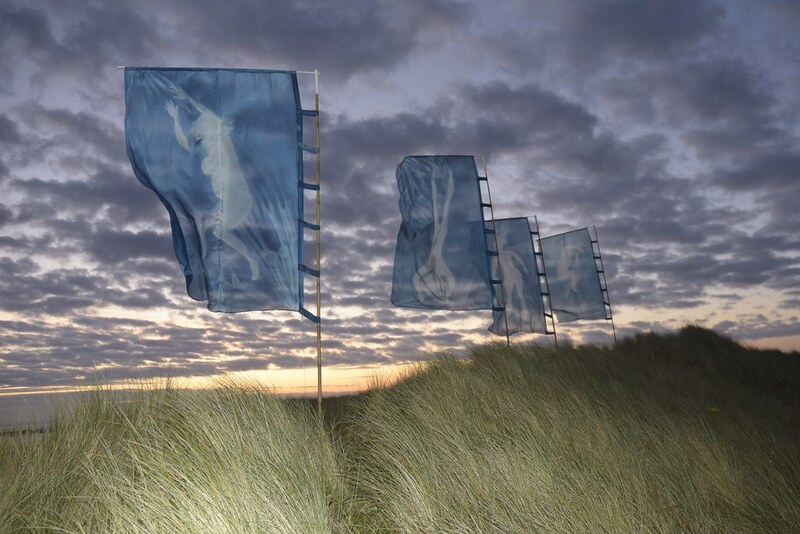 Four 9ft Silk banners or flags floating on Maku bambo stands on the dunes of Lindisfarne. All the prints where exposed on Lindisfarne. For each exposure I have to lie still for thirty minutes to allow the light to work on the fabric and chemistry. Materiality 2017 from Annie Flynn on Vimeo.